Technology has brought us so much: trips to the moon, gene splicing, and autonomous vehicles. But it has also allowed us to neglect building our critical thinking skills. How and why has this happened? And what can we, as engineering educators, do to turn this trend around? In this inspiring talk, Leslie Martinich will describe ten ways we can inspire and teach young engineers to better solve problems and think critically. She has worked in technology companies for more than 30 years, and was one of the architects of RPC, Remote Procedure Call technology, allowing for what is today cloud-based computing. She publishes regularly in the IEEE Engineering Management Review and was the 2012 IEEE-USA Congressional Fellow for Science and Technology Policy. She has been active on several boards and is currently the Chair of IEEE’s Central Texas Section, encompassing Austin and San Antonio. 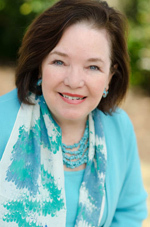 She is also on the Board of Directors of Austin Shakespeare and is a volunteer for Hospice Austin. She has a Master’s Degree in Computer Sciences from the University of Texas at Austin. This keynote speaker is partially supported by the IEEE Education Society Distinguished Lecturer Program. Educational movements, which raise great challenges and expectations and involve a huge community of different stakeholders, such as Open Education, require milestones in which to review the achievements and needs that remain unfilled, as well as the agreement of generic recommendations or guidelines that suggest a map of actions to be developed. The second World Open Educational Resources (OER) Congress held last October can be considered in this sense. Groups interested as educators, teacher trainers, librarians, learners, parents, educational policy makers at both the governmental and institutional level, teacher and other professional associations, student associations, teacher and student unions as well as other members of civil society, and intergovernmental organizations and funding bodies contributed in to the document “Ljubljana OER Action Plan 2017”. This report contains recommended actions to mainstream open-licensed educational resources to build Knowledge Societies and achieve the 2030 Sustainable Development Goal to “Ensure inclusive and quality education for all and promote lifelong learning”. The recommendations are organized in five strategic areas, namely: building the capacity of users to find, re-use, create and share OER; language and cultural issues; ensuring inclusive and equitable access to quality OER; developing sustainability models; and developing supportive policy environments. This talk will use as reference such strategic recommendations as a reflection showing different experiences around these areas, in particular in Engineering disciplines as well as some of the efforts aligned to theses ones of the IEEE Education Society. Member of the IEEE Education Society Board of Governors (2005–2012) he is currently Vice President of Educational Activities and Awards (2013–2018). 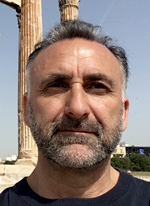 He leads an Innovation Group in technologies applied to Open Education and he is Editor of the Information Technology / Information Systems Editorial Board of MERLOT. The US National Academy of Engineering has called for a reengineering of the engineering education system in its report “Educating the Engineer of 2020”. It is recommended that the engineering process of designing, evaluating, building and testing should be introduced from the earliest stages of the curriculum, including the first year. Students should be engaged in team projects that connect engineering design with real-world problems. In this talk, I will present a cornerstone engineering design project course designed specifically for first year engineering students. This course aims at providing engineering students exposure to knowledge and skills from different engineering disciplines. Students will be divided into project teams and apply the acquired knowledge and skills to design and build engineering artifacts through experiential learning. In order to offer the course at scale, the technical components will be delivered using a blended learning mode and students would be engaged in experiential learning through working together in teams with senior engineering students. I will also discuss how learning analytics on data collected from the learning management system can be used to provide just-in-time feedback to the instructors and students. Professor Ting-Chuen Pong is a Senior Advisor to the Executive Vice-President & Provost, Director of the Center for Engineering Education Innovation and Professor of Computer Science & Engineering at the Hong Kong University of Science & Technology (HKUST). He is a founding faculty member of HKUST, where he had served as the Associate Vice-President for Academic Affairs and Associate Dean of Engineering. He was an Academic Research Adviser for the Hong Kong University Grants Committee (UGC) from 2010 to 2012. He is currently a member of the Quality Assurance Council of the UGC and the Hong Kong Council for Accreditation of Academic and Vocational Qualifications. Before joining HKUST, he was an Associate Professor of Computer Science at the University of Minnesota. He received his PhD in Computer Science from Virginia Polytechnic Institute and State University in 1984. 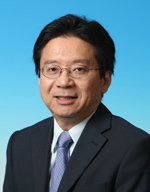 Professor Pong's research interests include computer vision, multimedia computing and IT in Education. He is a recipient of the Pattern Recognition Society Award in 1990 and the HKUST Excellence in Teaching Innovation Award in 2001. In 2014, he led the HKUST team in the Wharton-QS Stars Awards Competition and was selected Winner of the Natural Sciences Award and Runner-up of the Hybrid Learning Award.